Get all the latest results and race cards today for the UK greyhound racing. Detailed view of the course race cards. Detailed view of todays race cards. Detailed view of course results. Detailed view of todays results. 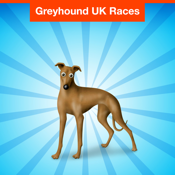 This simple app allows you to get the plain and simple information and results on greyhound racing in the uk.